There are different means of improving the visibility of a website and an expert in the field very well knows this fact. Even, they try to incorporate these features into the portals so that the target is achieved. And the target is increasing the rankings of the website in the search engine pages. One of the tools that are innovative as well as effective in generating and establishing a network among users, encouraging them to write contents and sharing with others in the network, making them express their opinions and views and taking up community building measures is that of SMO or social media optimisation. In present generation, almost 1 out of 3 people are conversant with the use of social media networks like facebook, digg, linkedin, MySpace, twitter, etc, where they interact with friends and exchange their ideas. These are therefore the perfect platforms for companies to put in their profile and messages so that they are noticed by the users of these social network sites. By proper manipulation, separate profiles can be created in these social sites and people can be encouraged to follow them or like them and open discussions and chat forums on certain topics. To create a successful SMO, continuous analysis of the sites and the social trends are to be observed and any new methodology has to be incorporated. 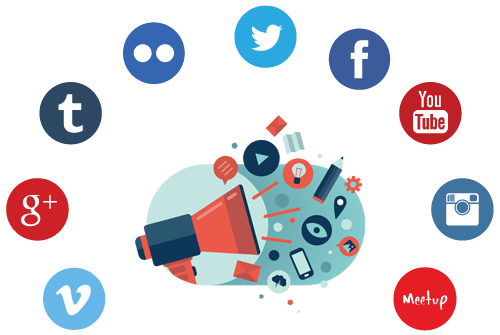 Better responses have to be elicited from the social sites in order to create a brand from such organisations and products which have not been known to the people yet. The impact of the social sites has been seen to be quite huge in recent years and a number of social events have been magnified to huge proportions, which wouldn't have been possible through any other means. Net Soft Lab The Web devises and strategizes to create intelligent social media campaigns. Regular audits are to be carried out to understand the newer formats of study of these portals so that a complete analysis is possible on a day to day basis. A variety of plans are there with regards to SMO which can be implemented on a national as well as international scale so that the companies can be benefited by these plans by having them customised according to the requirements.